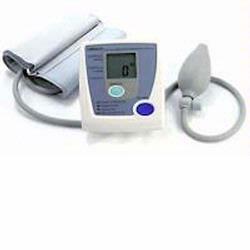 Blood pressure and pulse rate displayed on a large digital panel. Easy squeeze inflation bulb quickly fills cuff with air. Automatic deflation. Lightweight and portable for use anywhere. Included standard cuff fits arms 9-13"